There is never a dull moment when the BRCK engineering team goes out for a field trip to test out new tech. The experience and victories gained are always priceless. 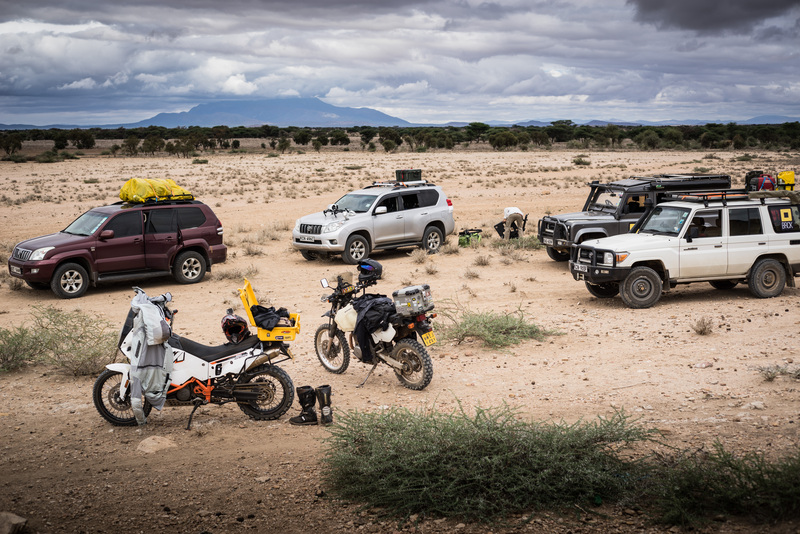 This time the team set out to the world’s largest refugee complexabout 90km back from the Kenya-Somalia border. The mission, as we had chosen to accept: To pilot the PicoBRCK for the UNHCR WASH project at one borehole location. 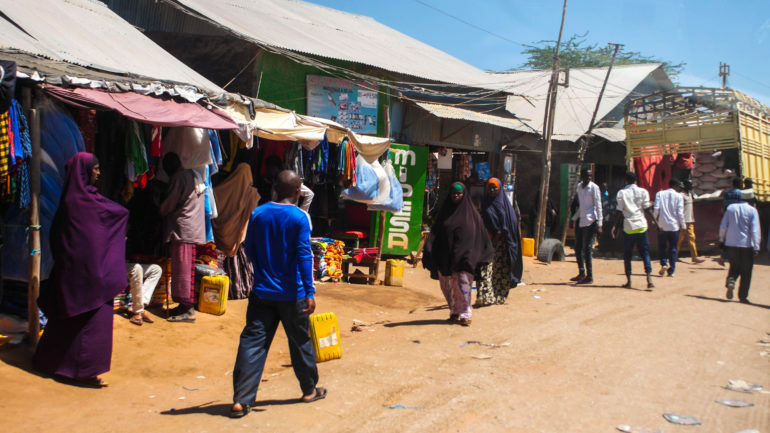 The Dadaab refugee complex hosts almost a quarter million people people which requires UNHCR WASH to treat and pump a total of 10 million litres of water per day from 28 boreholes scattered around the complex. 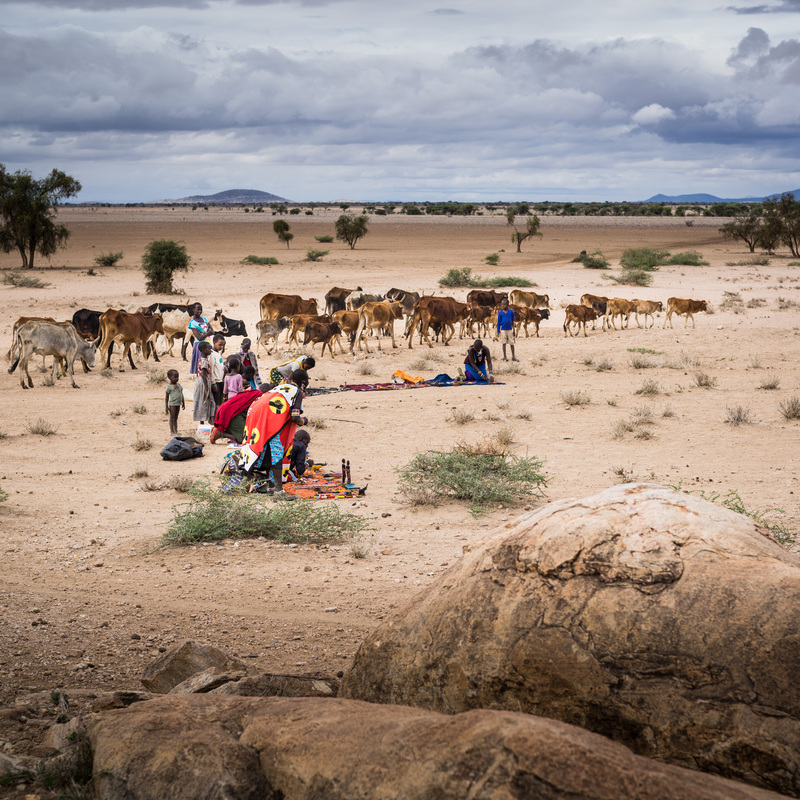 This is a pretty amazing feat to accomplish and it is stunning to see how the WASH team in Dadaab meticulously pulls it off, considering the sheer size of the area the complex occupies. 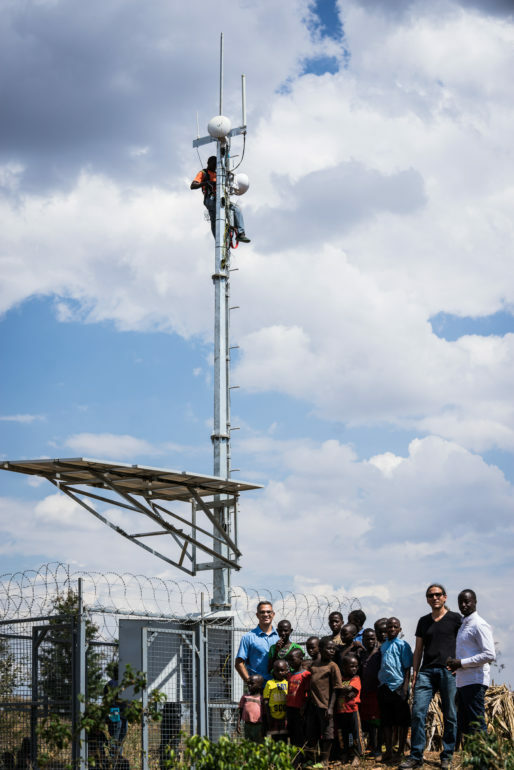 To improve this process, BRCK and UNHCR teamed up to provide a solution that would enable remote monitoring of water generation and water treatment using the PicoBRCK as an IoT platform. 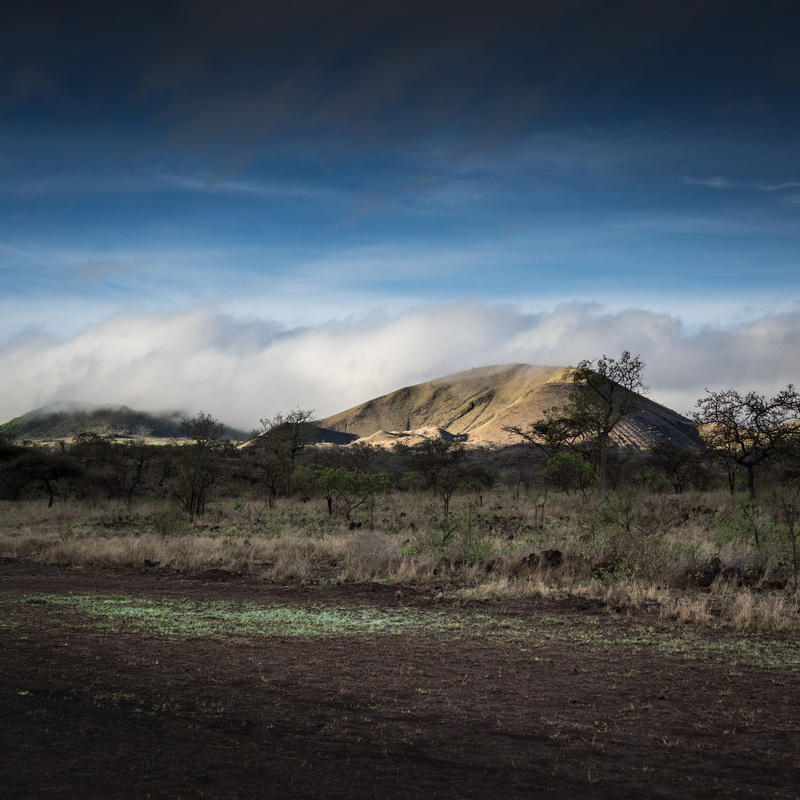 The first thing you notice when you arrive in Dadaab is the glaring sun that makes you sweat enough water to make some cloud cover later in the day. More importantly, we were interested in how the lithium batteries in the PicoBRCKs would cope with the high temperatures. The PicoBRCKs run off Lithium Polymer batteries which are generally designed to charge best between 0 and 45 degrees Celsius;the high temperatures might cause some power related issues later on during the pilot period. Every project has its hiccups and this one was no different. Airtel, the original network carrier we chose for the installs was down during the time we were in Dadaab. We had specifically confirmed coverage and operability of the Airtel network on our first trip to Dadaab but it was not to be. Luckily, we were able to find sim cards from a different network provider and replace the ones we had. The PicoBRCK can integrate to any sensor through a daughter board and supports sensors via SPI, I2C, UART and General Purpose IO. 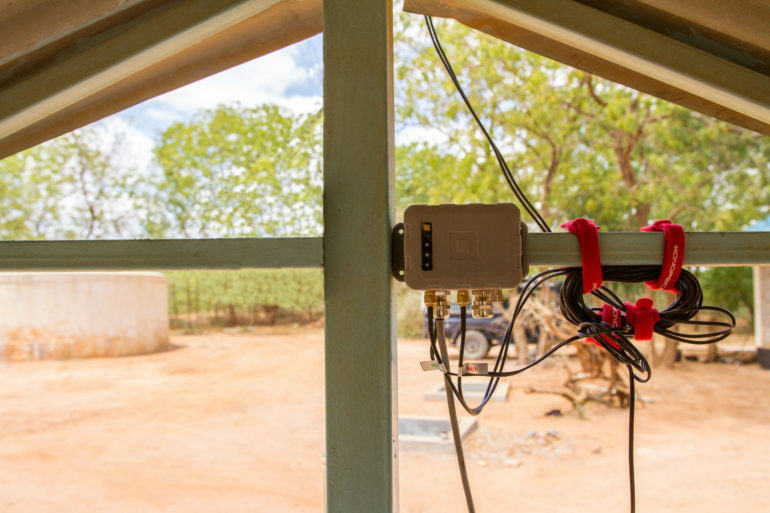 For the UNHCR WASH project, we integrated one PicoBRCK to a chlorine and temperature sensor to monitor the amount of chlorine dosed per litre of water. We installed the second PicoBRCK to a hall effect sensor over the water flow meter as a non intrusive way to digitally measure the rate of flow of water. For this pilot deployment we tapped into the power being supplied to the chlorine doser. We ran cables from the generator room to the PicoBRCK and installed a 240V AC socket where we plugged in a 12V adaptor to keep the PicoBRCK power topped up. The waterproof PicoBRCK case made it much easier and convenient for the installs. We could have it mounted practically anywhere we needed to. For one of the units, we had to use a tree that stood close to the water meter! Future installs will take advantage of the PicoBRCK’s solar charging capability which will make the installation procedure even more straightforward. On the third day of the install process, we successfully got both PicoBRCKs up and reporting to the cloud with viable data for the two week pilot period. After the pilot period, we will install PicoBRCKs at nine other boreholes and hopefully have a positive impact on water consumption data at the complex. 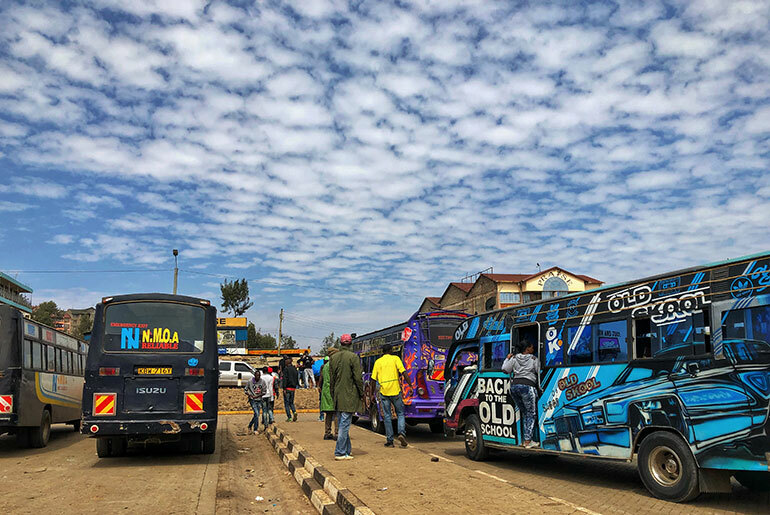 Each team comprised two individuals whose job was to interview commuters, drivers and touts and also ensure that the devices in the matatus were online. Conducting user interviews is no easy task; it requires patience and discipline. Seeing people from BRCK interviewing users is a humbling experience. I have previously learnt that the key to getting good user feedback is approaching the interview in a relaxed manner. This makes the interviewee feel more comfortable relating with you. Creating that rapport allows an easier communication flow with the interviewee. This particular Furahiday I partnered up with Jimmy. 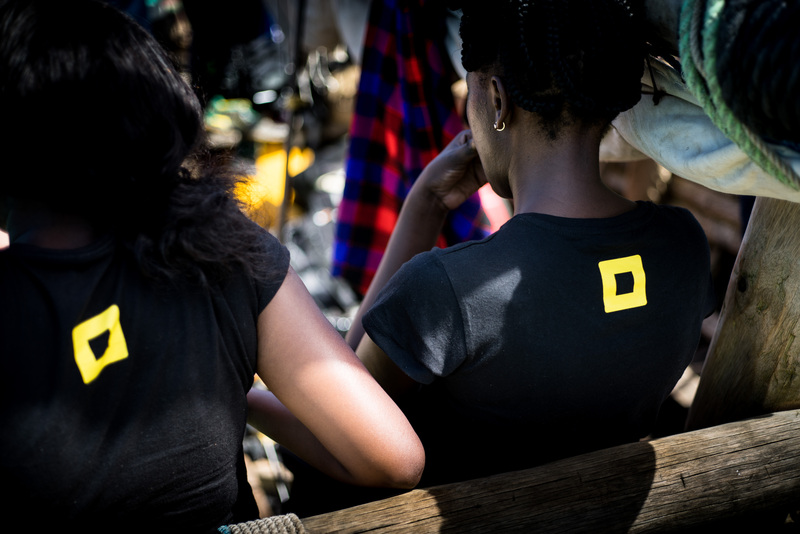 We had some engaging conversations with the drivers in “Sheng” (Kenyan urban language). Their feedback was enlightening – they shared their pain points and expectations.The experience was eye-opening in a way that I really got to relate to how some people live, appreciate their thoughts and how they can be so efficient in their daily endeavours. I met Simon, a driver with a 16 year old son who is still in high school. Simon was frustrated, he felt like he was not living up to his expectations, in terms of providing for his family. He earns a meager salary as a driver and has to work two jobs in order to provide for his family. He knows his son would benefit immensely from being able to research on school projects if he had internet access, but he is not able to afford that. I couldn’t help but try to figure out ways in which free access of internet, even in public spaces, can help optimize their lives. At the end of the day the question that kept ringing in my head was “What is lacking? ”.. I think that’s a good starting point! I must admit that I previously did not understand what empathy really was until I got to interact with real users. Sometimes we build services forgetting that the end user is that “mama mboga” who feels left out by the global economy or that “matatu driver” who feels alienated in the digital world. In other words, we forget about empathy, and that is why as BRCK it is our role to make sure that such people are not left out. What better way to do this than have the team out in the field so that they too can understand and know who we are designing for. And who said just because we are working we can’t have fun! 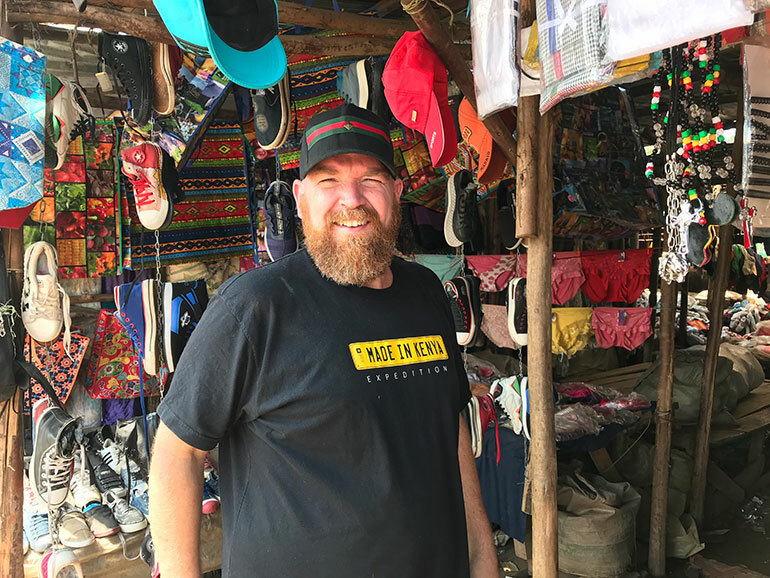 Erik our (CEO) whose known to be a pro when it comes to taking great photos was spotted at a shoe market and he didn’t have a choice but to smile for the camera. I struggle to be like Erik and get my images edited and up on Instagram in the middle of chaos. I come from the days of big cameras, film, darkroom, and long periods between clicking the shutter and realising a final image. I like to think about my pictures. I’m never happy with them and I often return to Lightroom and edit them again and again until I at least don’t not like them. This process does not lend itself to the instant forms of social media that we enjoy today. 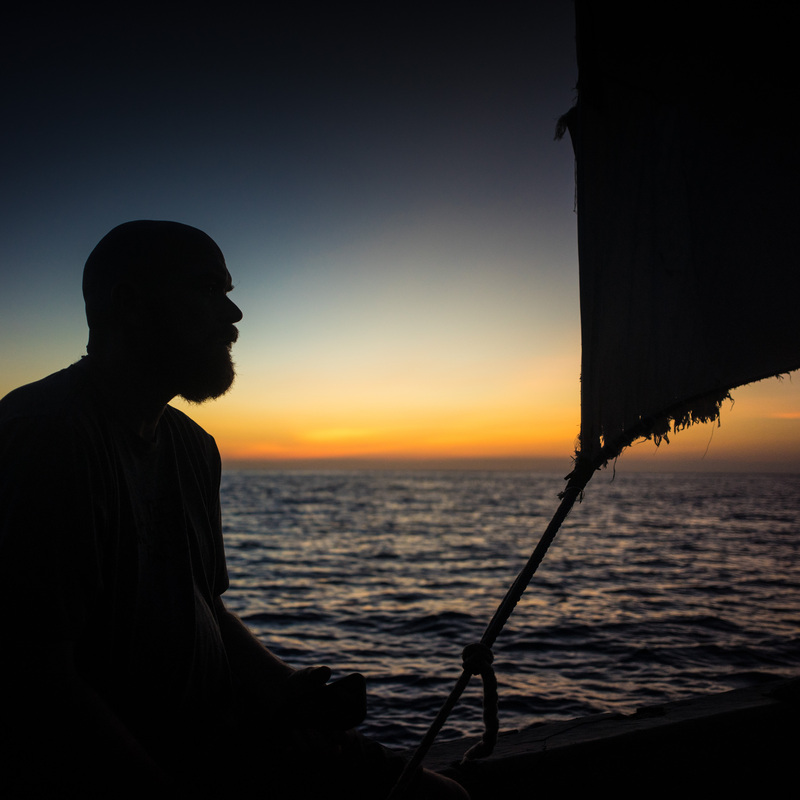 While I continue to work on my publishing speed, I figured I might as well try my hand at a more contemplative photo essay following our journey on Expedition Pemba. 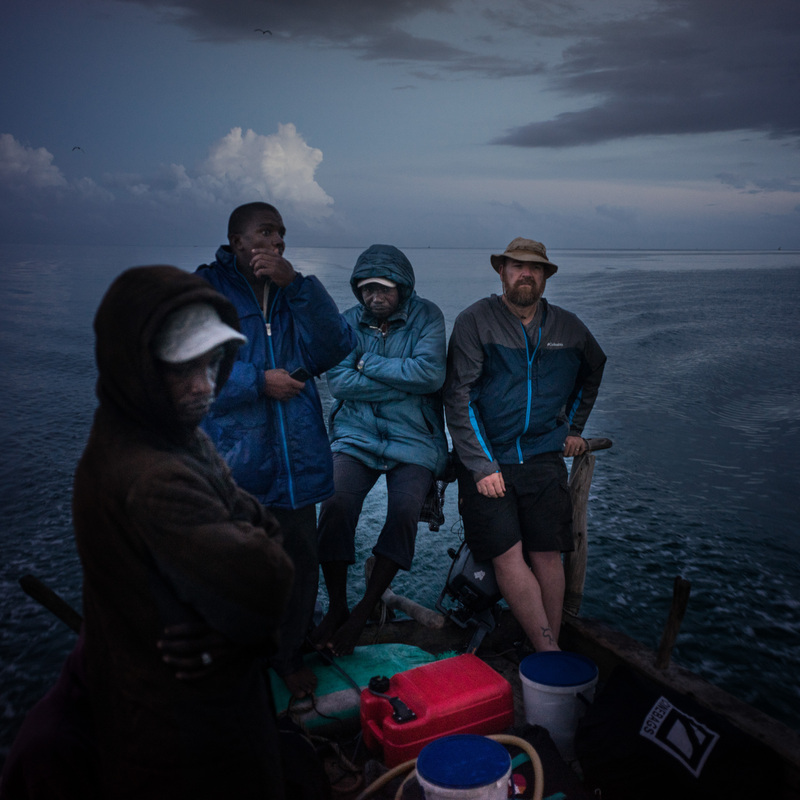 The BRCK team embarked on our first ocean-going adventure traveling from Nairobi to the Zanzibar island of Pemba crossing the Indian Ocean from the acient smugglers' port of Shimoni. Local community members opening an adhoc market for our guests. We camped the first two nights in the Chuylu Hills and were welcomed each morning by the sun rising over the distant hills. 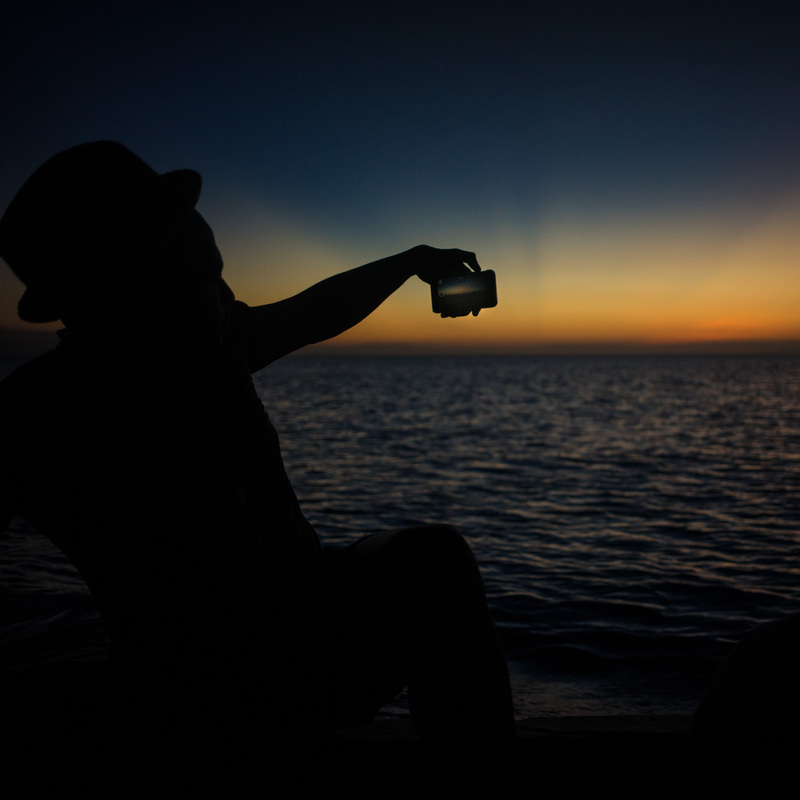 The second night we introduced the foreign team to sundowners. 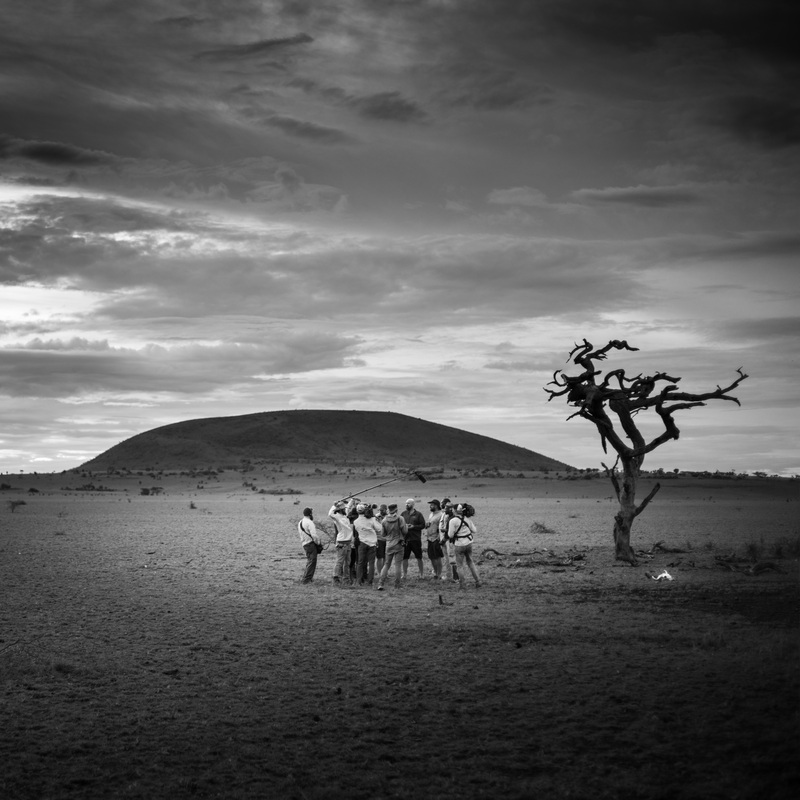 The windswept plains at the base of Kilimanjaro make for a perfect spot for this Kenyan tradition. 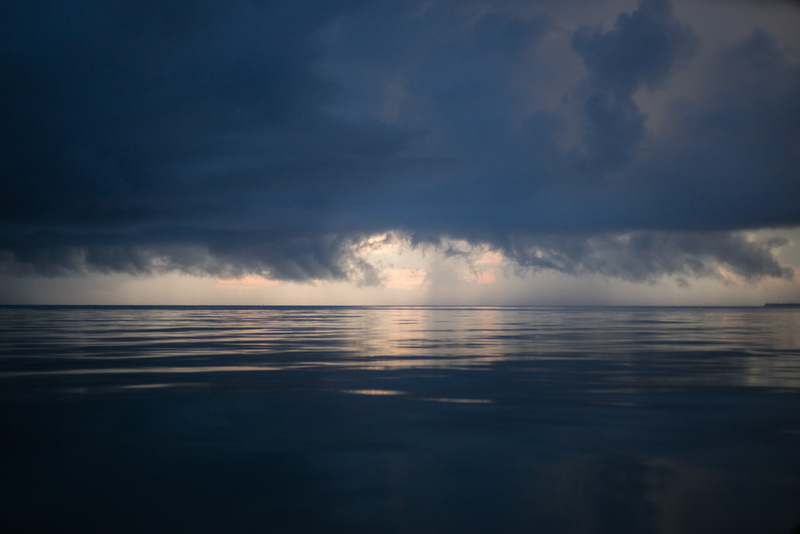 The trip was long and we passed most of the time on the slow sail accross the ocean in silence. Just before our arrival, morning greeted us with her many shades of colour. 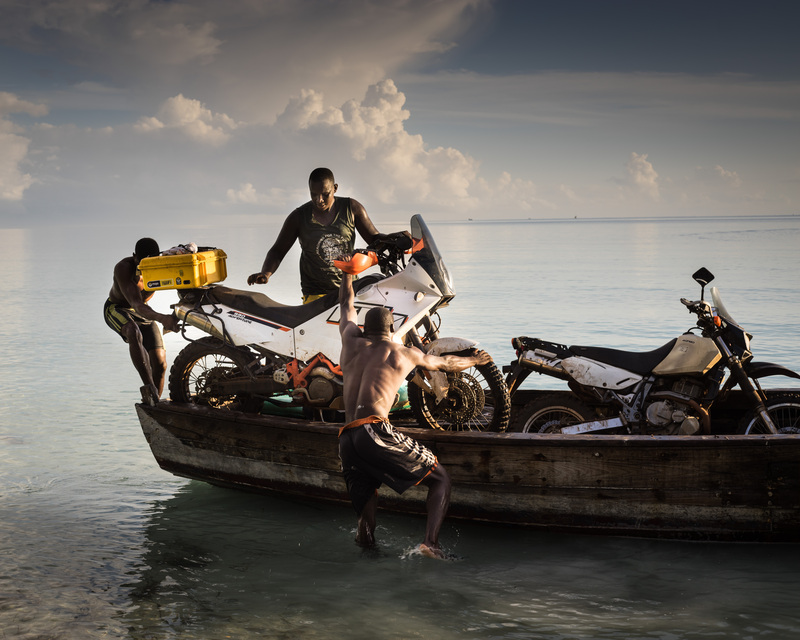 We were met by a crew of soft spoken but strong men who took on the difficult task of unloading very heavy motorcycles from the boat. 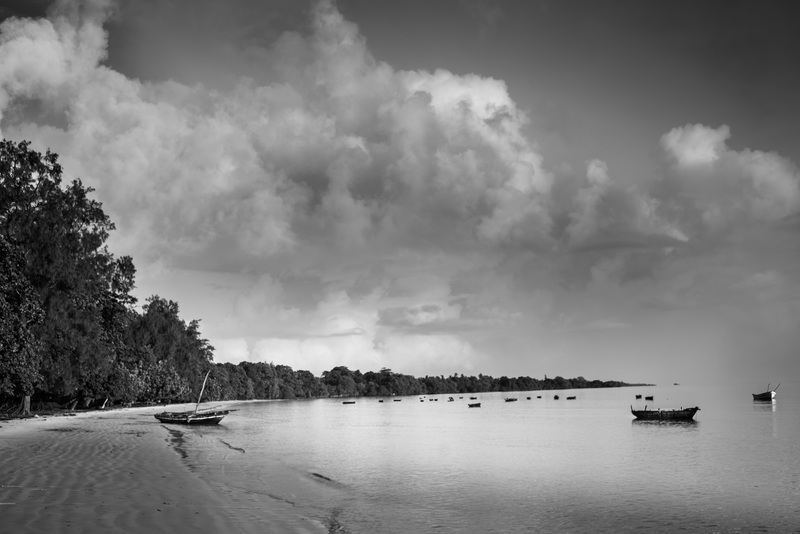 The view from our beach camp on Pemba. The boats are floating above a cultivated seaweed farm. 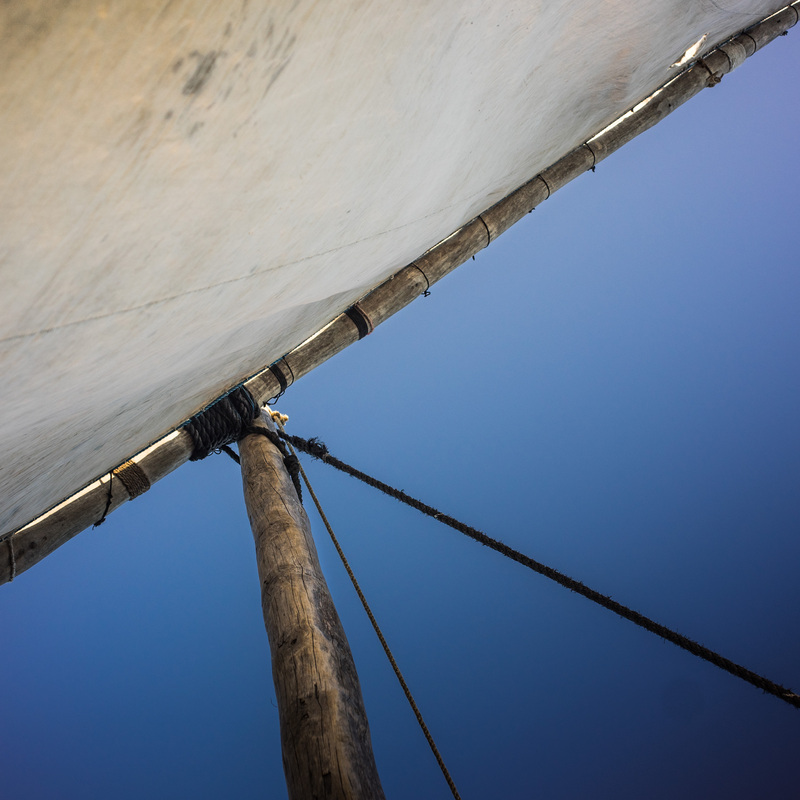 Although we often sailed only by gasonline engine, the crew would at times unfurl the crude but effective sail to improve our speed across the waters. 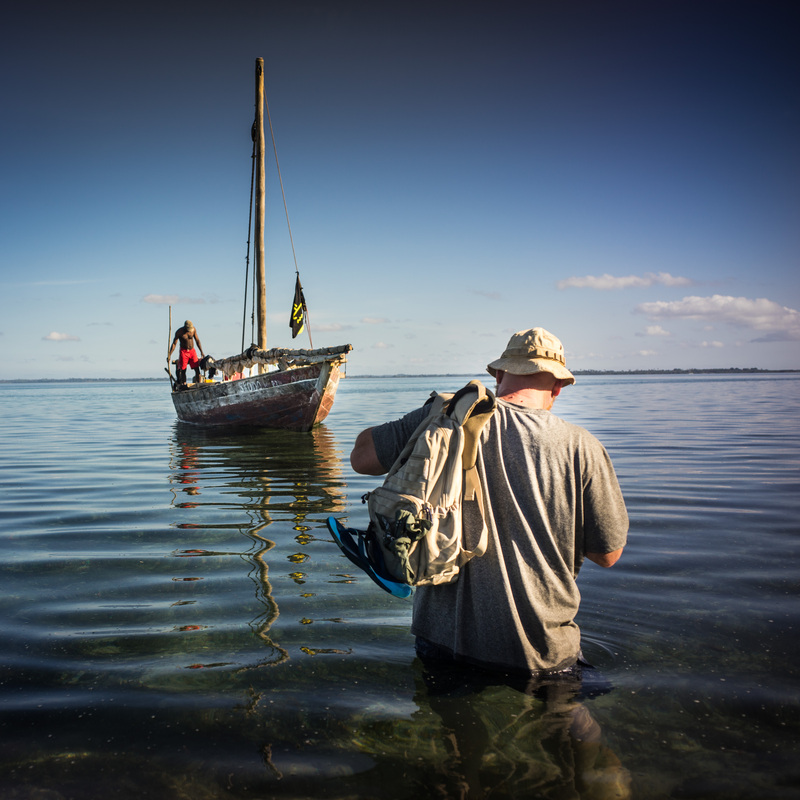 Seafarering souls from the ancient Swahili tradition move us between each of our destinations. 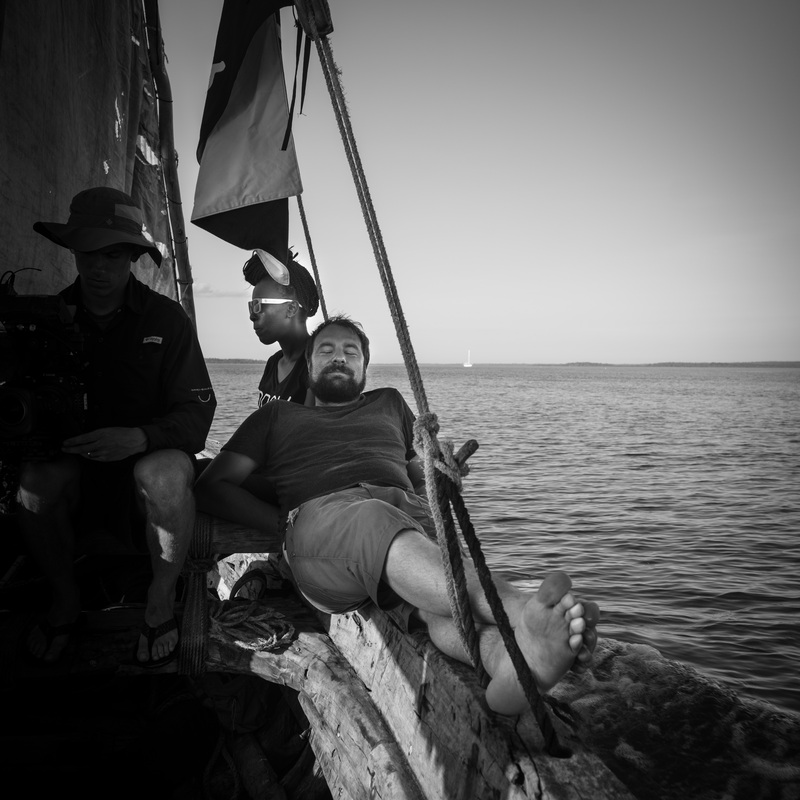 The boats were cramped with people and gear as we set off again to visit the smaller island of Kokota. 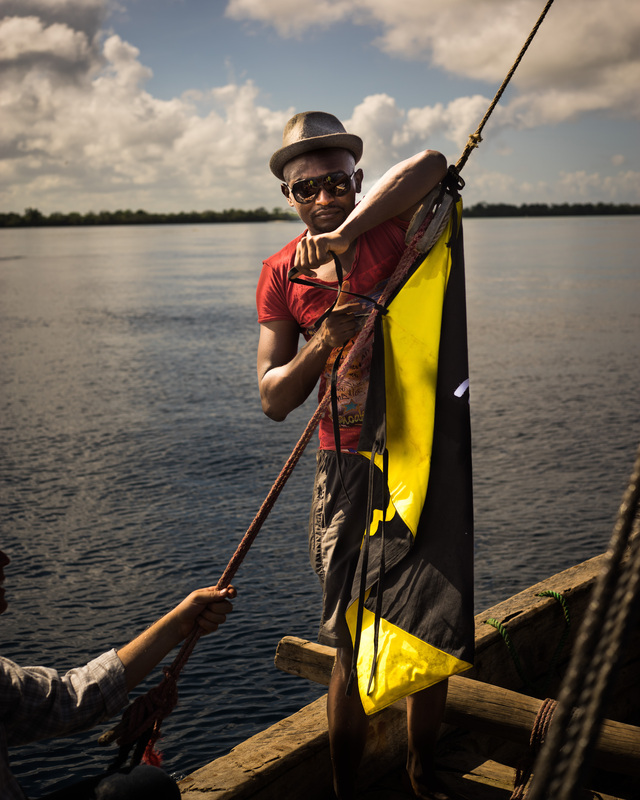 No pirate ship is complete without a black flag. Mark hangs the BRCK ensign from the riggings. 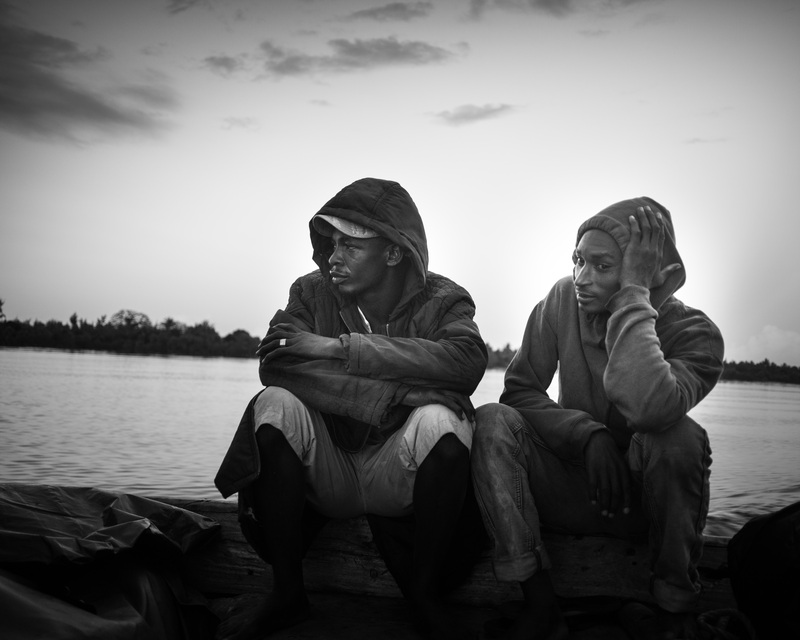 Long periods of silence and pensive contemplation in the burning African sun occupied our long journey to Kokota. Some of us found better ways to pass the time during our 6 hour journey. 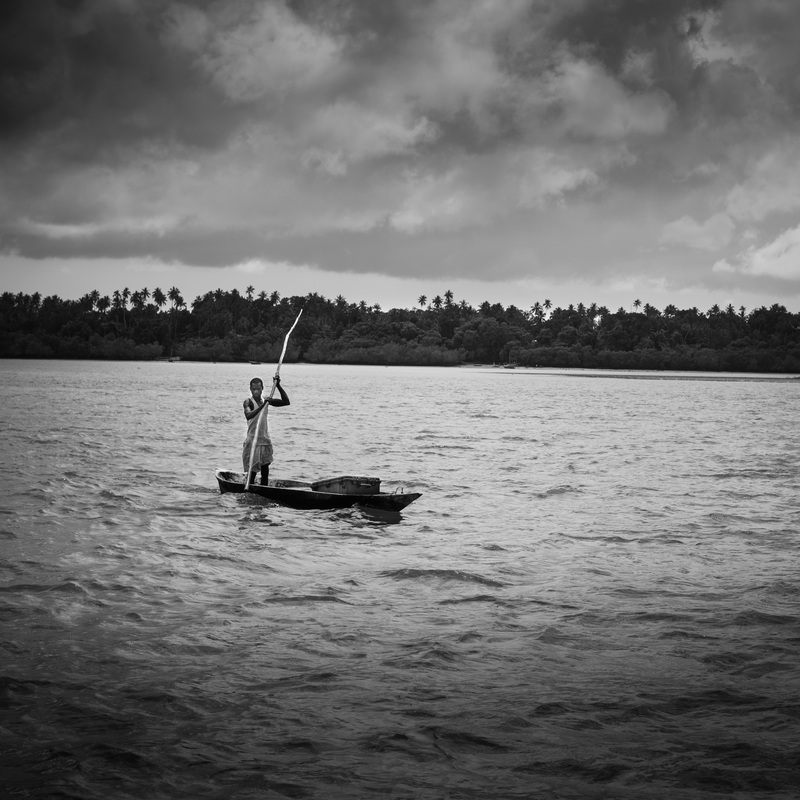 We were met enroute by a small boat carrying two Kio Kits that had been delivered from the main land. 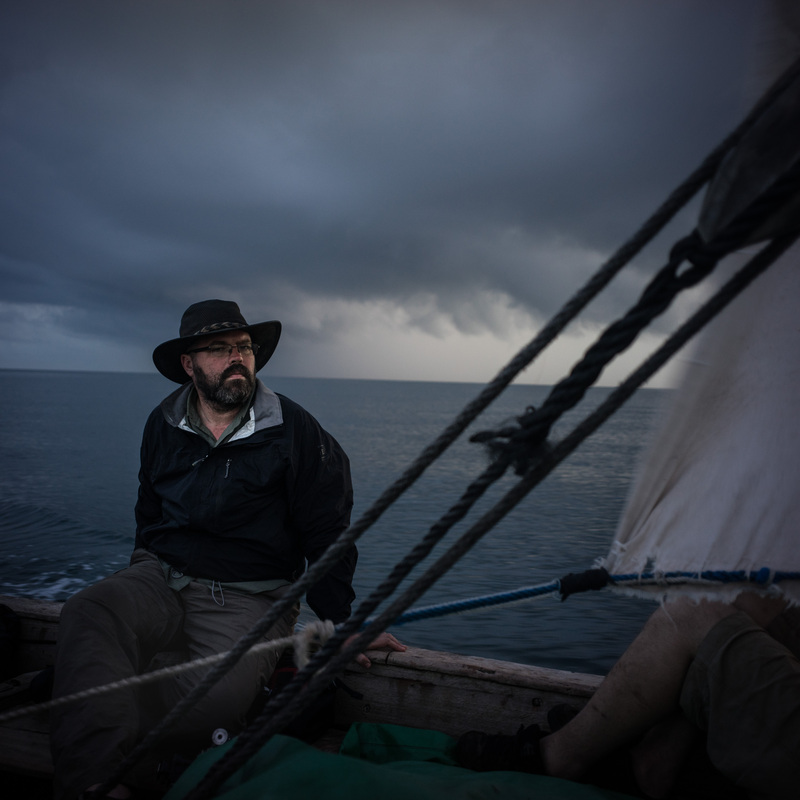 Like our exploring ancestors before us, the team set out with steely determination to conquer the challenges and opportunities of bringing connectivity to this remote island. 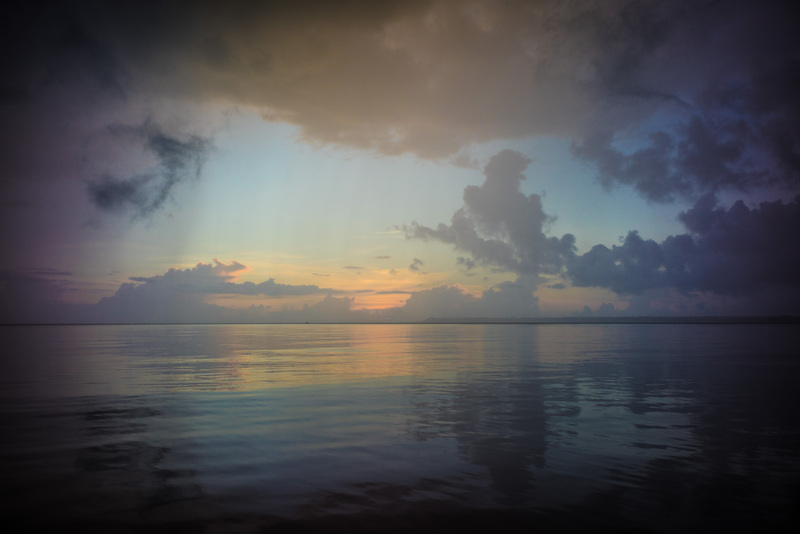 By the time our work on the island was completed, the tide had come in and we found ourselves subject to the will of the ocean. 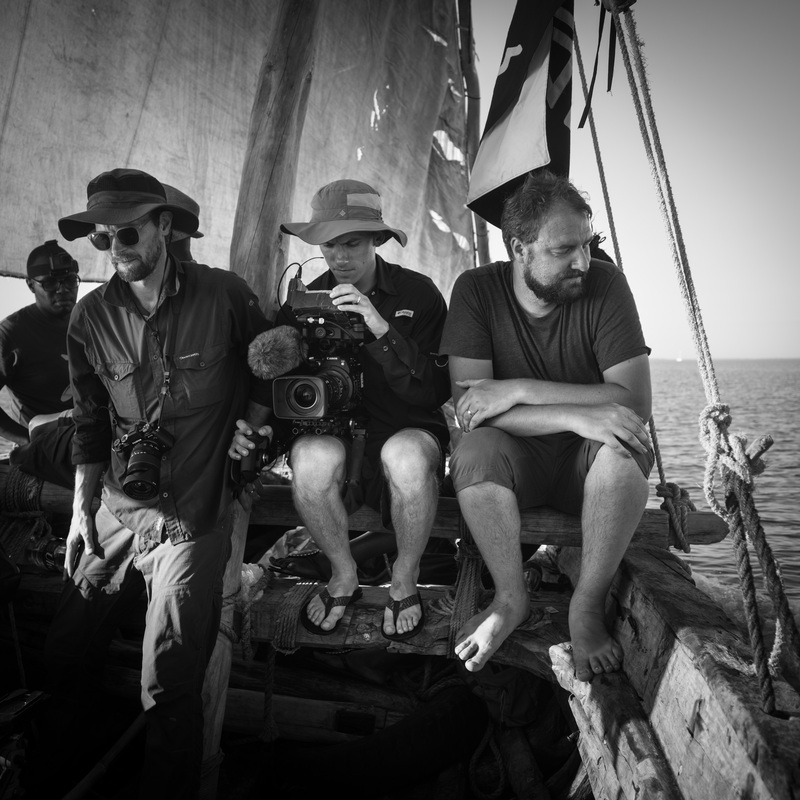 Each piece of equipment and all of our personal effects had to be carried high as we waded to our waiting ship. Tired set in on the trip back to camp after a long day of sailing and working on getting connectivity to Kokota. 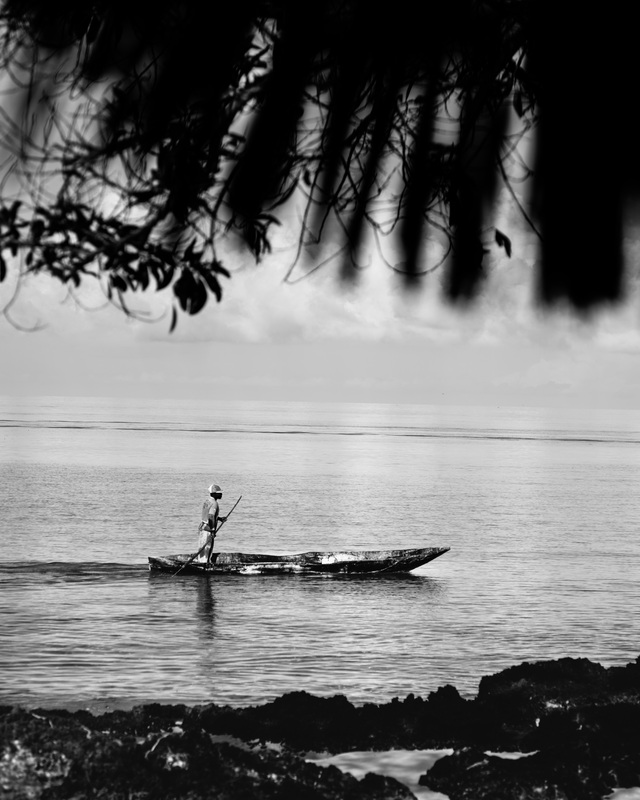 The evening tide beckoned the fisherman to their nightly chores passing in front of our beach camp site. Brandon embraced the final hours of our island adventure with a slow rock in the gentle ocean breeze. 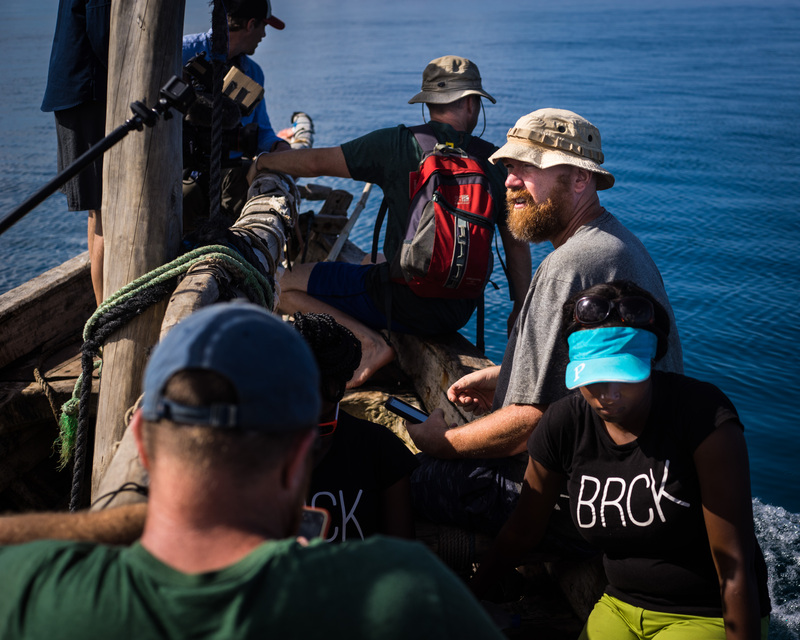 As BRCK's first ocean adventure, Expedition Pemba opened our eyes and our minds to the challenges of these isolated and disconnected island communities. 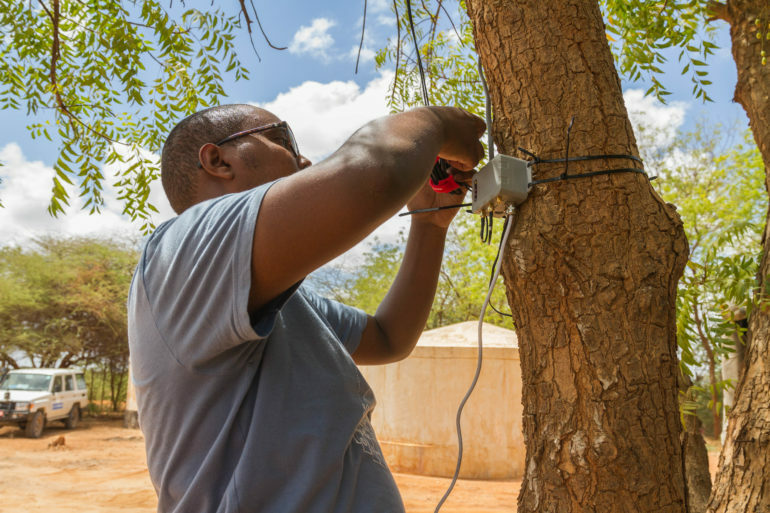 We look forward to delivering the technology and solutions that ensure that these communities also have equal access to connectivity. 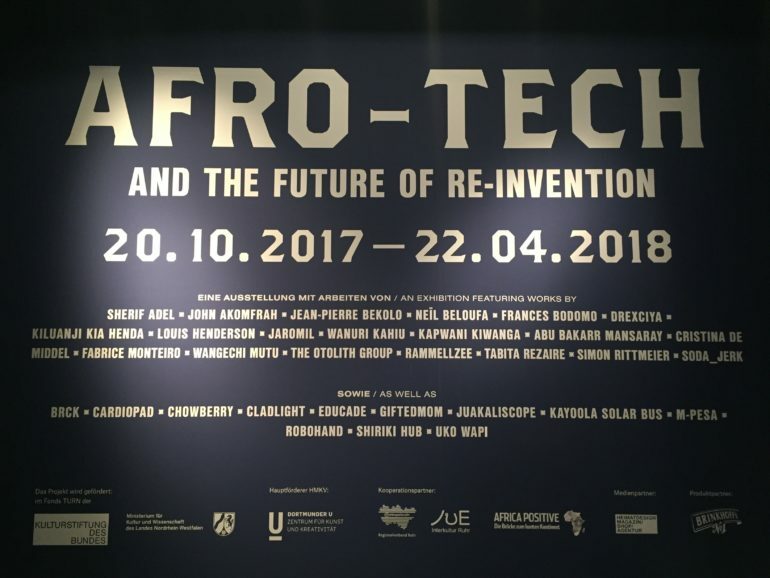 A few weeks back BRCK was in Germany attending Afro-Tech Fest where we presented our core product, the SupaBRCK as part of the art exhibition. 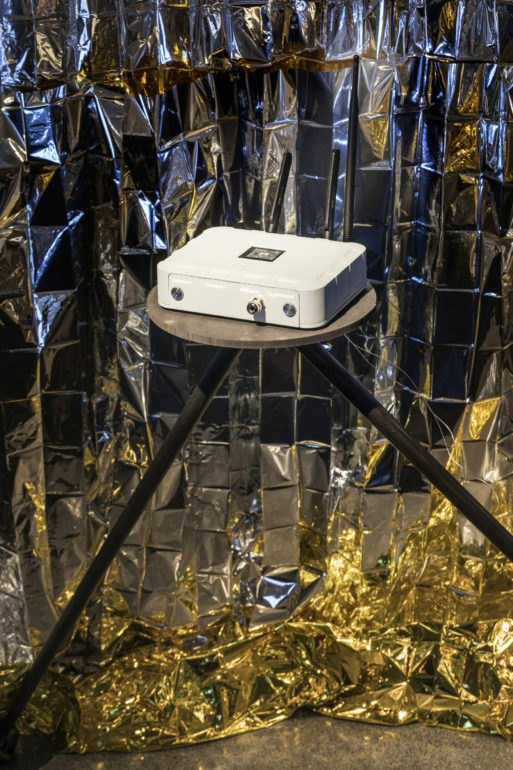 From 20 to 28 October 2017 the Afro-Tech Fest hosted a week-long festival with talks, lectures, film screenings, performances, DJ sets, concerts and workshops in various locations in Dortmund. 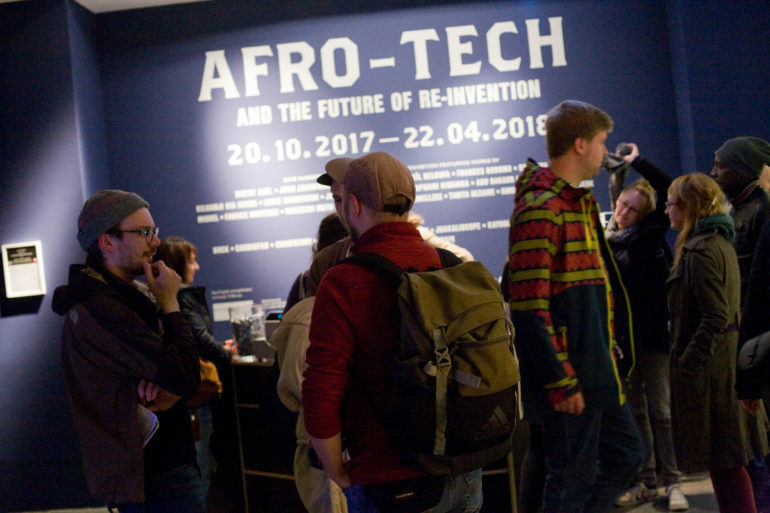 The programme of events, which coincided with the exhibition Afro-Tech and the Future of Re-Invention by HMKV (Hartware MedienKunstVerein) at Dortmunder U – Centre for Art and Creativity, provided numerous occasions to further explore and discuss the themes and motifs of the exhibition. 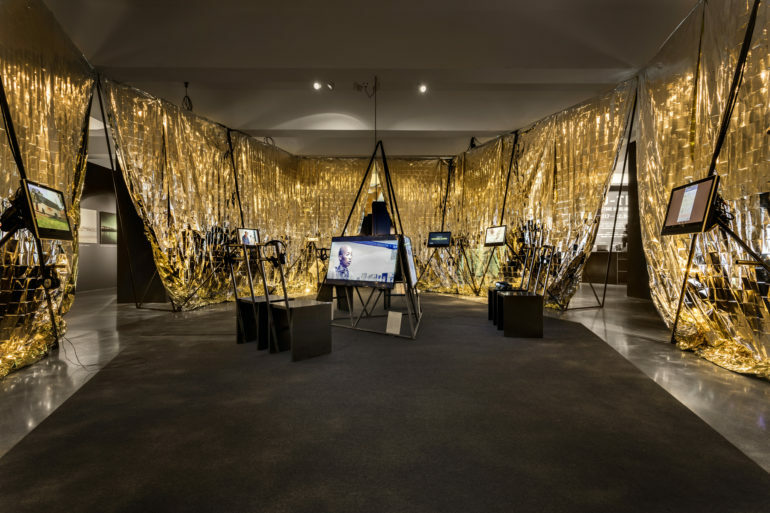 The event featured works from the realms of media art, fine art, film and photography as well as contributions from popular and digital culture. Afro-Tech presented speculative projections of the future and current developments in the field of digital technologies by artists and inventors from different countries in Africa, the African diaspora and many other actors in the USA and Europe. SupaBRCK was on the spotlight as a device built for the future of Africa. It is a rugged micro server that can be used when you’re off grid and you need a reliable connectivity solution that stands up to the challenges of power, connectivity type, and tough environments. 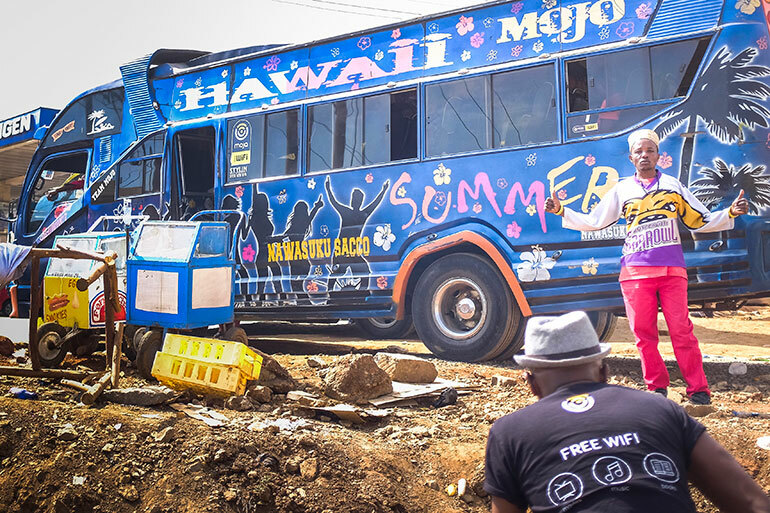 With our core solution Moja, a free public WiFi network powered by the SupaBRCK, we are able to push the limits of technology by providing users with affordable connectivity at all times. 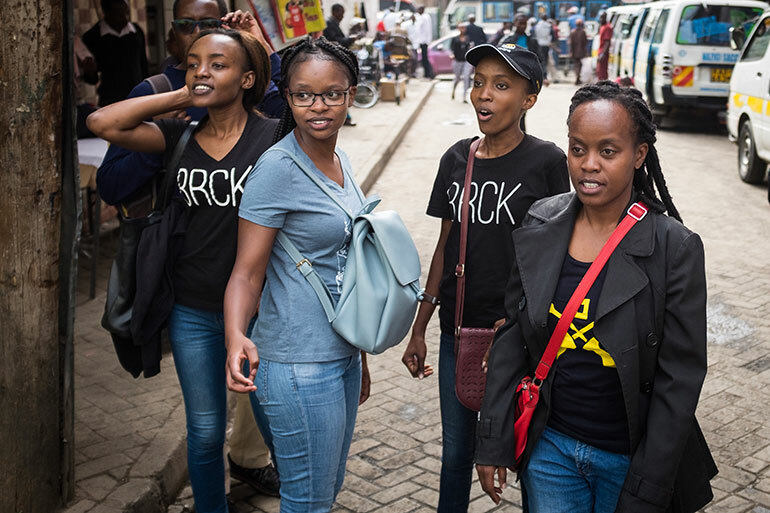 Information is power and at BRCK our mission is to connect African to the internet giving people access to information that could create a brighter future for them. The exhibition ends on the 22nd of April 2018. If you are in Dortmund, Germany just pass by DORTMUNDER U, EBENE 3/LEVEL 3 and have a look. 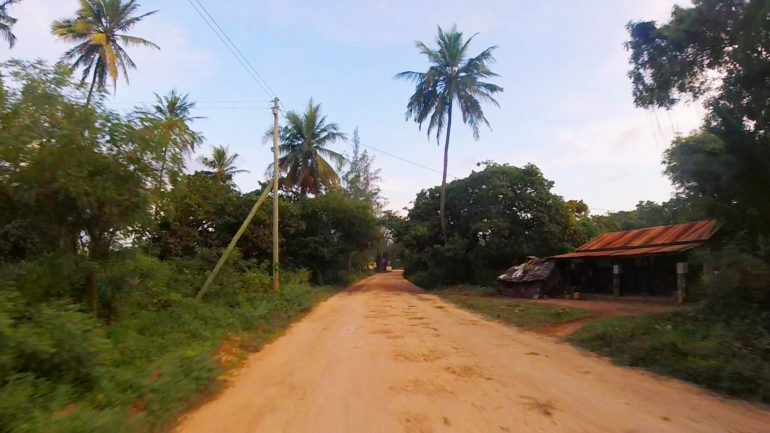 I was bumping along a waterlogged dirt road on the island of Pemba a couple weeks ago, trying to find my way to a lighthouse where the BRCK team was setting up a weather station. I stopped to check my map, and had a solid 3g signal I could use to check my map. Looking around I realized that all the houses in this section were wired up with electricity too. 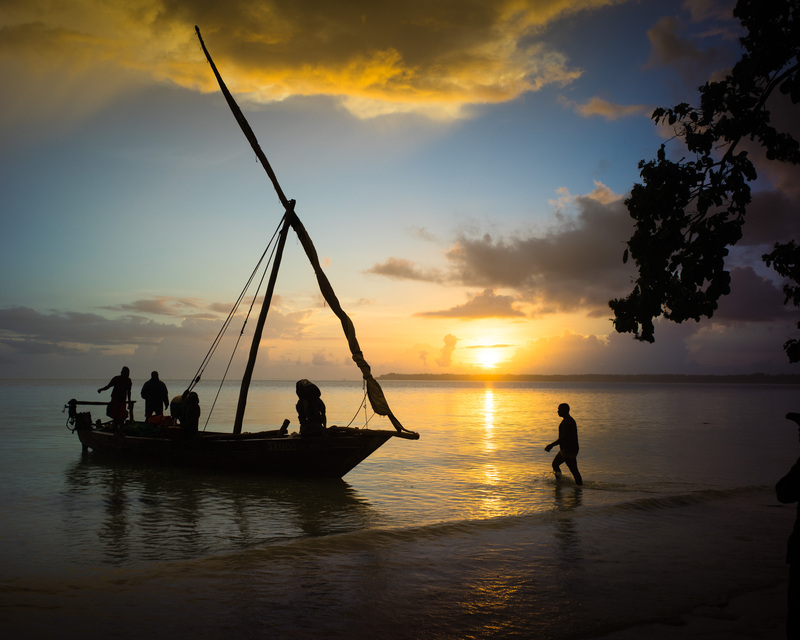 It turns out, though Pemba (a small island north of Zanzibar off of the Kenya/Tanzania coast) is a bit behind economically and it has that island slowness to it, that they meet the basic infrastructural requirements for a 21st century economy. No matter where I’ve traveled, this holds true. 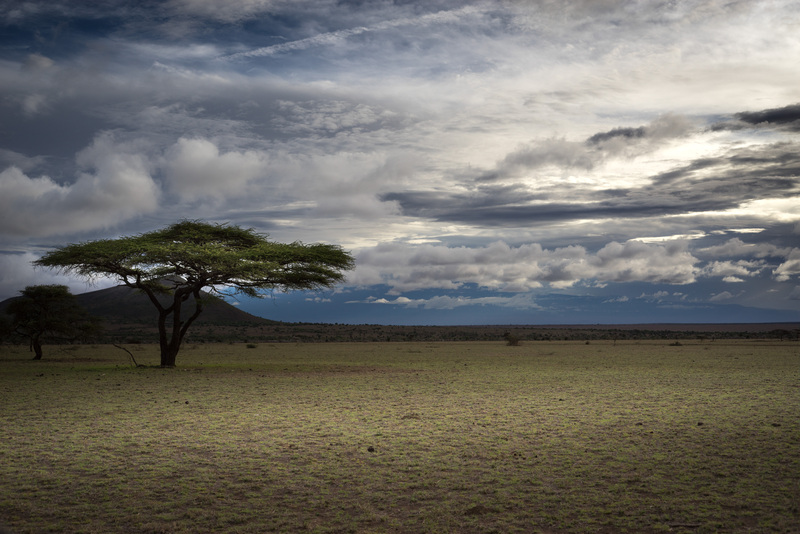 Whether in the city edges in Nairobi or Lusaka, or the rural areas across Africa or Asia. If there is power, if there is connectivity, then people will find a way to further their lives in enterprising ways. And that word enterprising is important, because their ingenuity and drive are focused on finding a way to make money. For school fees, for food and living, for their future. Power and connectivity are the two foundational elements of a 21st century economy upon which all of the other pillars sit. Whether you’re talking about commerce or education, entertainment or logistics, you’re not going to play in the global economy unless you have access to reliable energy and internet. Yet, today the world has turned. Although manufacturing will always play a meaningful role in a country, you can now have far greater gains on the world’s economic stage for lower costs if you invest in digital communications and transactions. McKinsey released a fascinating report on “digital globalization” where they show that increasing flows of data and information now generate more economic value than the global trade in goods. They’re saying that an industry that didn’t exist 15 years ago can now bring in more value to a country’s Gross Domestic Product than the centuries-old trade in goods. And in Africa, here’s the reason this is a big problem. While the continent is moving forward, the internet is more available and devices for accessing it are getting less expensive, we’re still far behind. We’re simply not moving fast enough or staying close enough to the rest of the world. And that has profound consequences. And there is only one investment needed: Digital infrastructure. This is the undersea cables, the terrestrial cables, the internet exchange points and locally stored content. Regular commerce isn’t possible without physical infrastructure like roads, nor is ecommerce possible without digital infrastructure which gives us accessible internet. In the energy space, smart friends of ours like Mkopa, SteamaCo and SolarNow (and many others) are working on ways to make power affordable. Truth be told, there has been a lot more money put to work in that space than on connecting people to the internet. 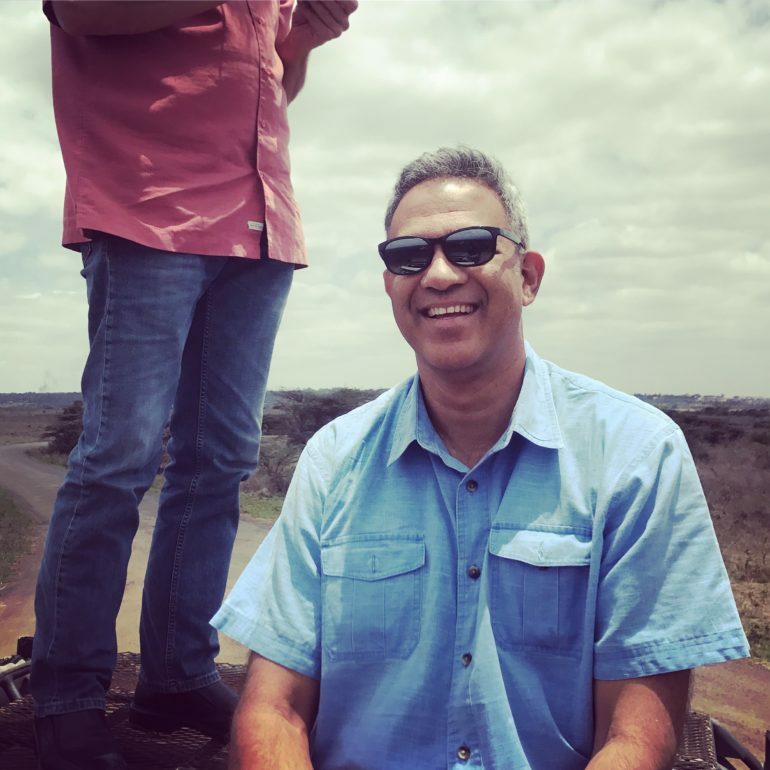 What’s interesting is that there are now millions of Dollars spent each year on tech startups across Africa which rely on connectivity, but very few investment dollars being put to work on the connectivity frontier itself. There are some though, and that’s why companies like BRCK exist. 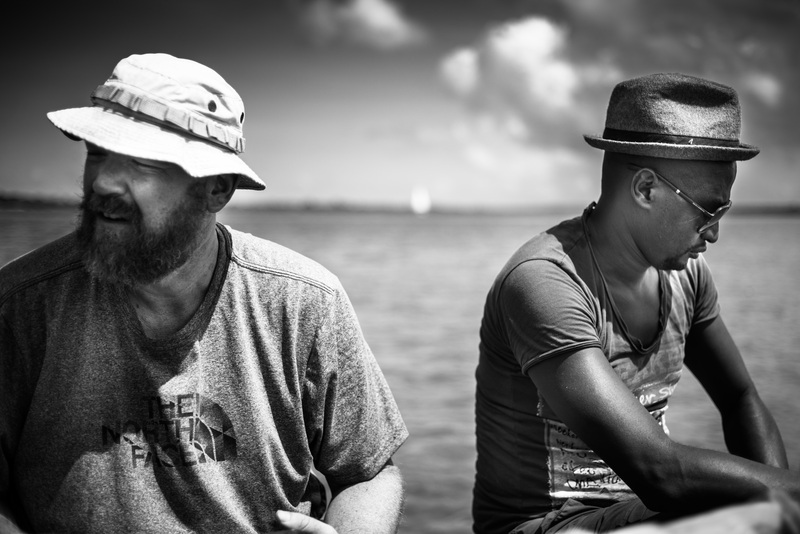 Whether in Pemba or Nairobi the face of Africa is changing, and power and connectivity are the reasons why. While I might ride on a bad dirt road to get somewhere, I know that if private and public organizations both focus on increased power and connectivity, we will get there. 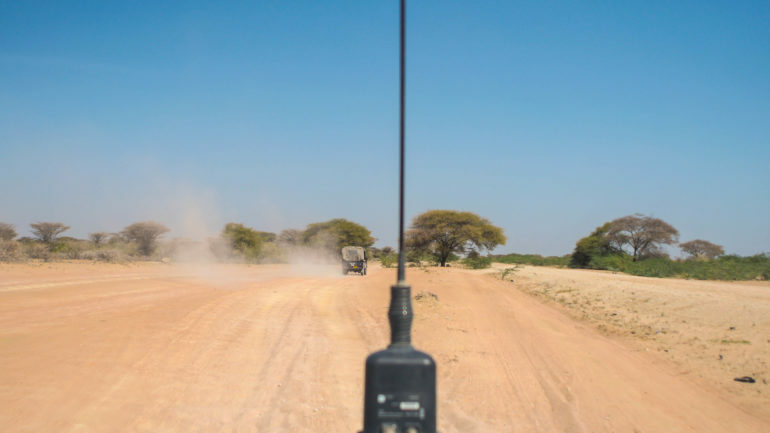 A point-to-point link, running Moja WiFi, providing free internet access for Kenya Wildlife Services rangers who protect the rhino population. 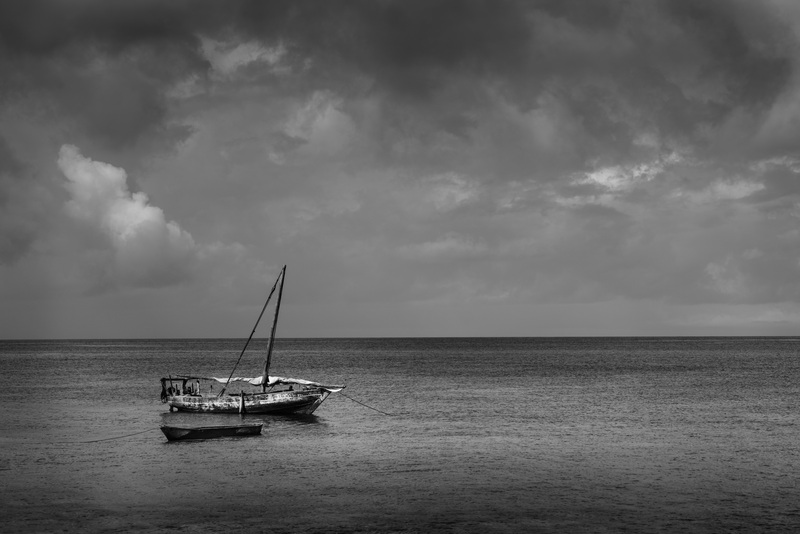 A weather station at a lighthouse on Pemba island, running off of our PicoBRCK device. 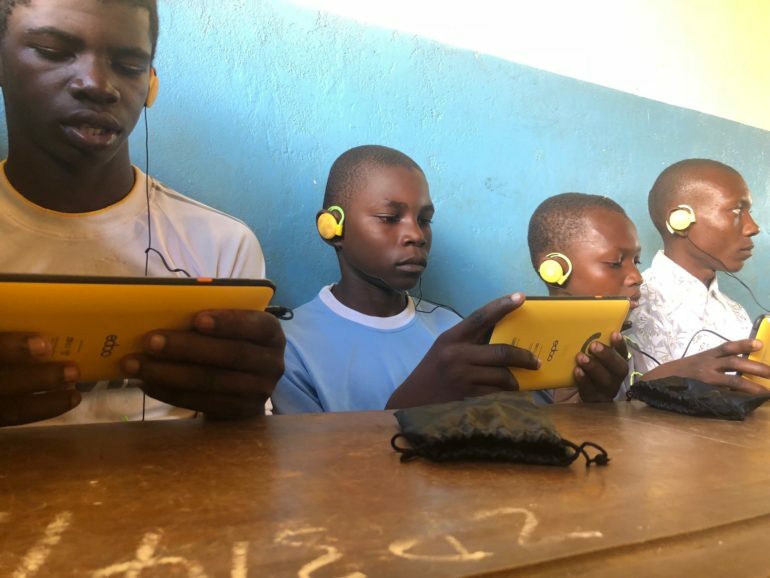 A special SupaBRCK running Moja as well as school educational content in a school on Kokota island, as well as training and use of the Kio Kit at the same location. A SupaBRCK Moja installed at the port of Shimoni in a store near the market. 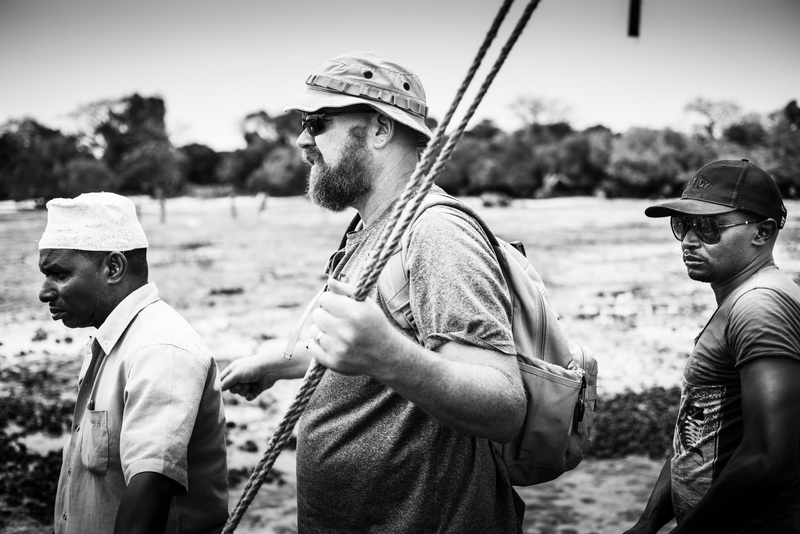 One thing I’ve learned on BRCK Expeditions is that there is no “normal” experience from one to the next. This one we had to be used to water everywhere, we lost or broke 2 phones and severely damaged a third, all vehicles behaved themselves (miracle! ), and we had the Good All Over team with us that made it feel like a reality TV show. 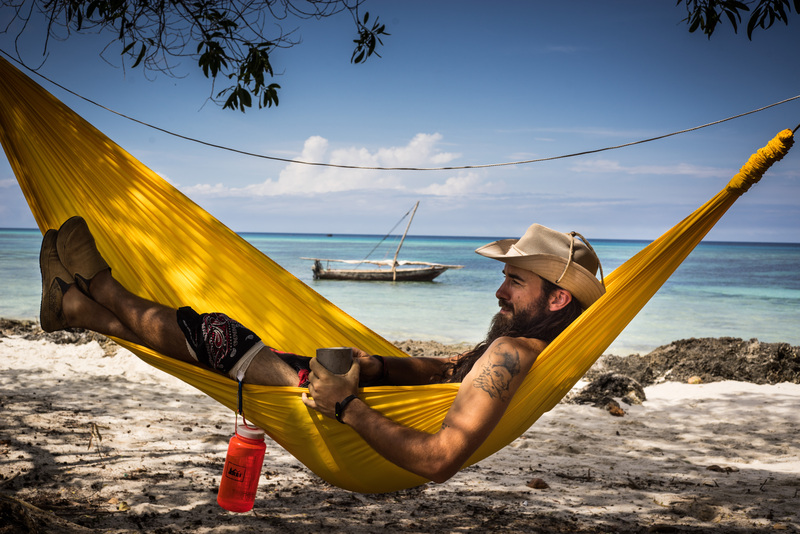 We do these expeditions for two primary reasons; to have a fun adventure as a team, and to test our products far out in the field. We do have a lot of fun, you can see that in the Instagram, Twitter and blog posts. However, a requirement is that they also be challenging, providing a certain amount of physical and mental difficulty. We plan them this way for us to test ourselves, strengthen our internal team bonds, and stress out our equipment. It works, so we keep doing it year after year. While we were out on this trip, there was a good Economist article published that references BRCK and what we’re doing. It’s important to remember that so few companies are actually out in the field trying to find solutions for people who aren’t financially wealthy. Logically this makes sense, unless you’re a development company or a charity organization, you have to make money and if the numbers don’t work, then they don’t work. The ITU calculates that in poor countries the average cost in 2016 of the smallest mobile-internet package was equal to 14% of the average national income per person, putting it out of most people’s reach. 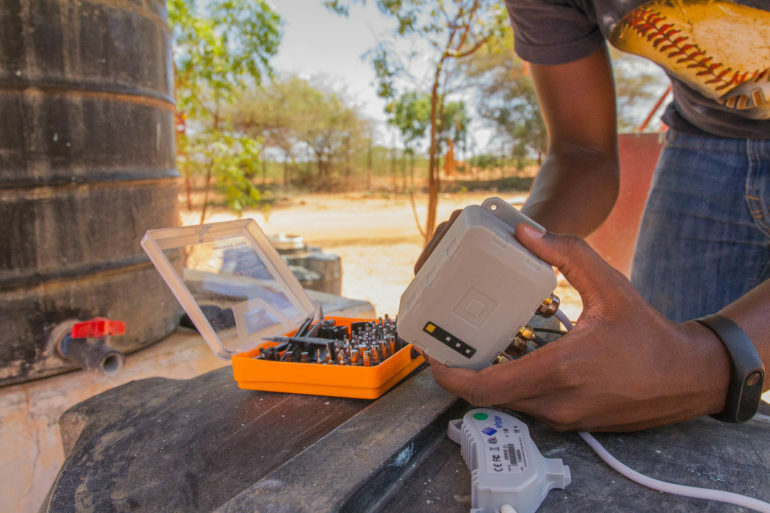 One of the benefits of the BRCK leadership team playing such a direct role in these expeditions is that we are installing, testing, fixing, and using the equipment right alongside the users of it. We’re doing the messy work, but also having to explain how our platform works to the people we’re leaving it with. This what leads us to creative solutions for both the technical and business problems that we find. It could be a better way to waterproof our gear, or it comes in a deeper understanding of how important it is to focus on our model of FREE public WiFi as we realize that these people will not be able to pay. It’s 1995. Computers are a rarity in Kenyan homes but common in commercial banks, government institutions and private companies and are mostly used to crunch numbers. But somehow my grandfather manages to acquire one for his household (true story!). From memory, it ran some text based Operating System with yellow fonts (which I came to discover much later in my adolescent years that it was MS-DOS) and for the first time I get to play a game (again, many years later, I find out its the original Prince of Persia). And my fascination for the computer begins. As we move into the late 90s, a better computer is bought running Windows 95 with access to digital media in the form of CDs. And with that I access Microsoft Encarta, a digital multimedia encyclopedia, filled with so much information that blows my young mind. The information is not only text-based but has colorful photos and low-def pixilated videos of moving animals and dividing animal cells. However, Internet is still an alien concept to me (and most Kenyans) at this time. 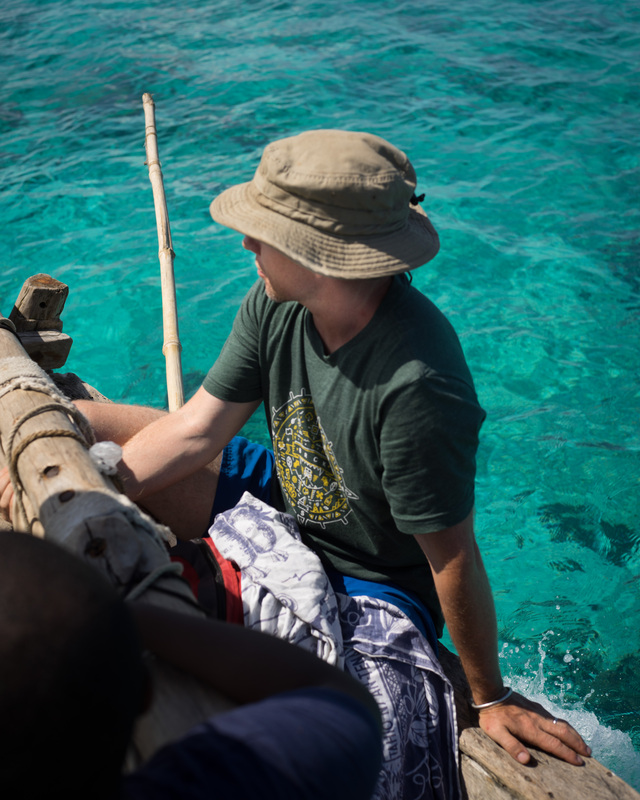 Fast forward to 2017 and we’re on Kokota Island to install a SupaBRCK running Moja and donate a Kiokit . 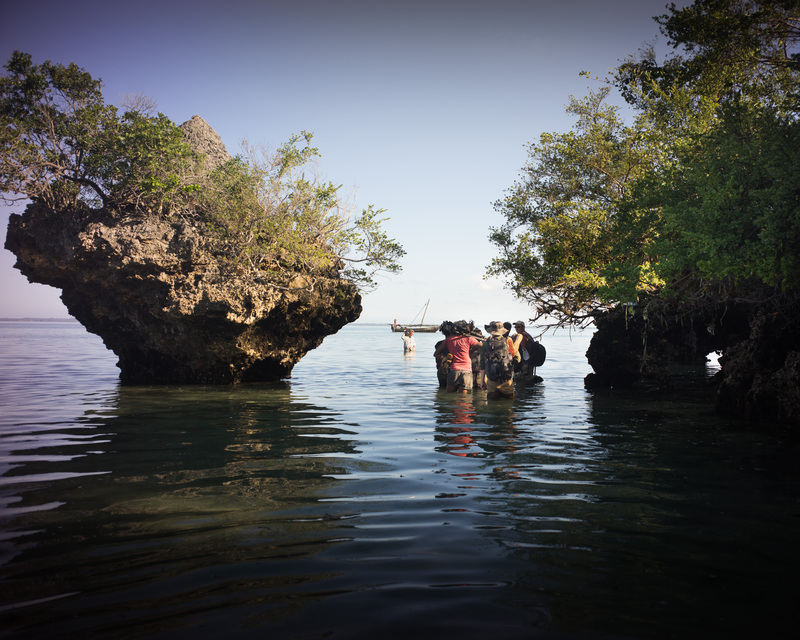 Being an island, Kokota is some how isolated and is mainly accessible via the sea. 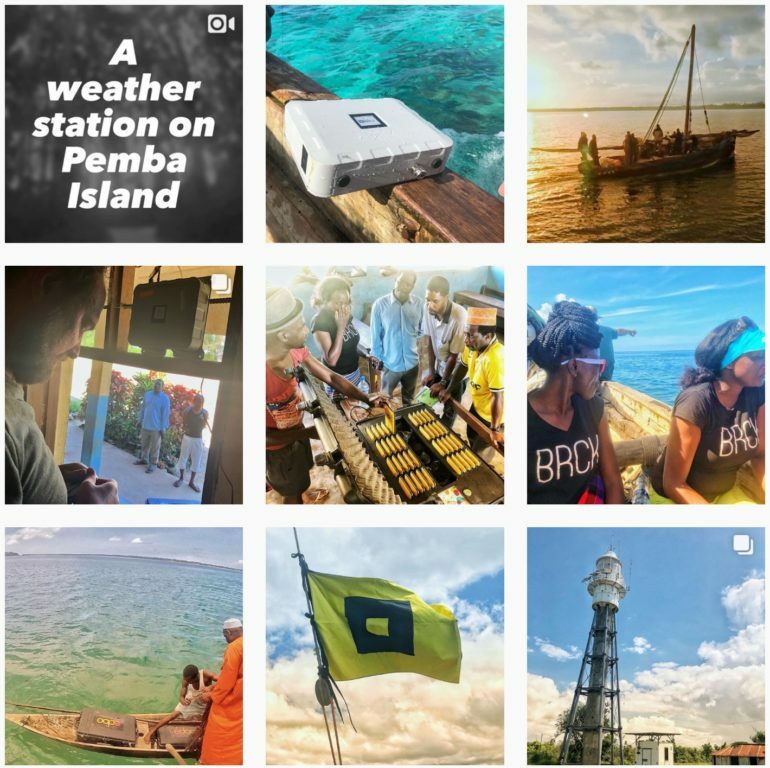 However, a cellular network is available since its broadcasted from the neighbouring main island of Pemba and distributed by a local base station. With the existence of modern cloud computing technology, increased data storage and advanced connectivity technology (cellular & WiFi), the SupaBRCK has taken advantage of these technologies to provide access to almost unlimited knowledge, unlike the limited 650MB on the Encarta CD that was my treasure chest of digital information. Be it offline or online, the SupaBRCK can provide access to information via local storage or the Internet respectively. During the Kiokit training, I could see the same expression of wonder and curiosity that I had back in ’95 on the faces of the students of Kokota Eco Primary school. I was also encouraged to see the enthusiasm expressed by the teachers of the school as one teacher commented that free access to the information would improve performance of the school and make it the best on the island. 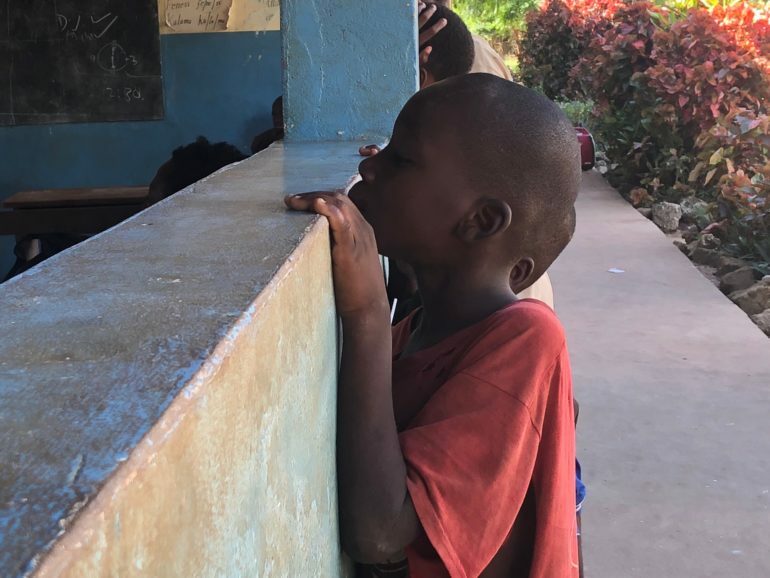 The students and teachers now have the opportunity to access as much information as they want to improve their education standards and livelihood. Imagine the impactful socio-economic projects that could be implemented on the island by the community as a result of accessing the information: modern skills in growing crops & rearing livestock, improvement & protection of the island’s biodiversity etc. 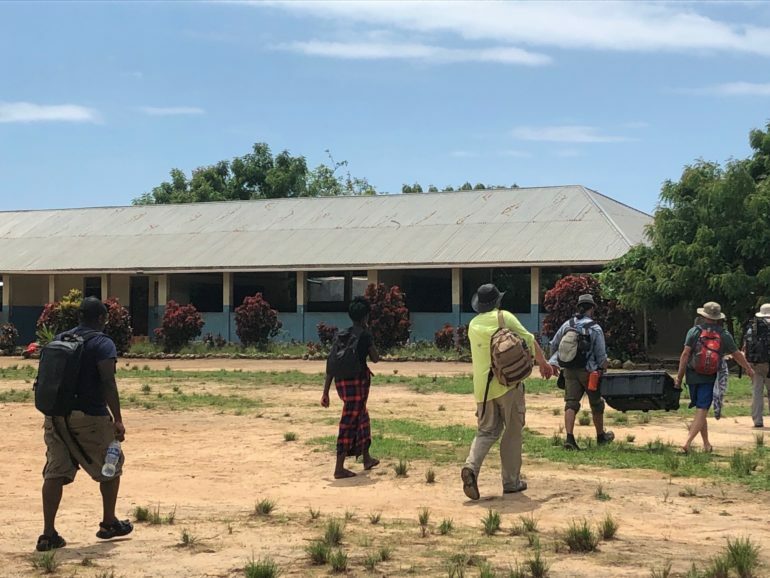 Or even better, the teachers could be endowed with DIY skills to fix the school’s water desalinisation plant that has stalled for the last eight months since help is not in sight to repair the much needed machine that can provide clean potable water. The level of potential within Africa is enormous but is largely untapped due to low penetration of education & information and infrastructure unavailability. Modern computing technology and how its implemented with well defined & crafted policies can accelerate information access. At BRCK we have the map to access the hidden treasure that is information but we also aspire to open that one door that will lead to opening millions more for Africans.